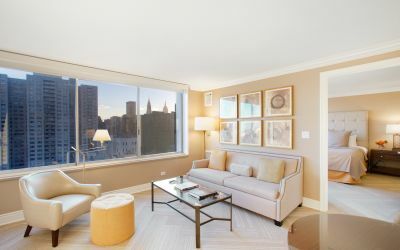 Plan your next stay in Manhattan with Sutton Court Hotel Residences, home to a prominent collection of fully furnished NYC extended stay suites. 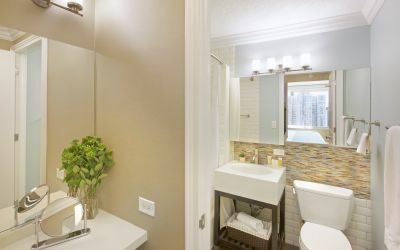 Available for a minimum of 30 nights, each of our 610-square-foot suites features a full kitchen, remodeled bath with upgraded amenities, complimentary Wi-Fi and 42" TVs with HBO and more luxury amenities. 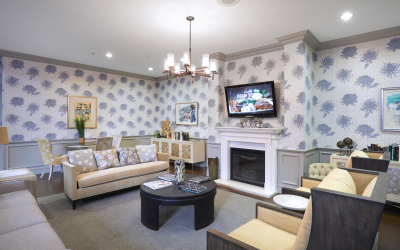 Renovated suites with interior designs by Kati Curtis include warm and calming color palettes, new carpet and stylish wall coverings. 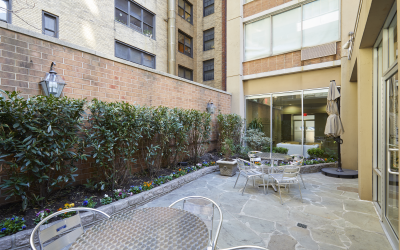 Choose from our well-appointed Midtown Executive apartments below and contact us today to learn more. A king-size bed with a queen-size sofa. 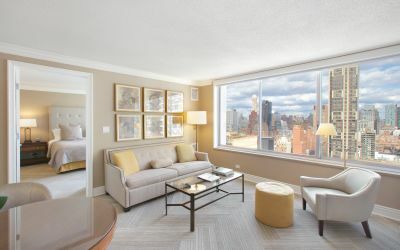 Your Manhattan extended stay is made easier with our luxury accommodations in our Executive Studio Suites featuring both a king-size bed and a queen-size sofa bed. King-size bed and queen size sofa bed in the living room. Flat panel 42" HDTV with HD channels. Unlimited local and domestic long distance calling. Fully equipped kitchens with stainless steal appliances, stone countertops and fine array of culinary utensils, dinnerware, and cookware. Additional housekeeping servies are available upon request for an additional fee. 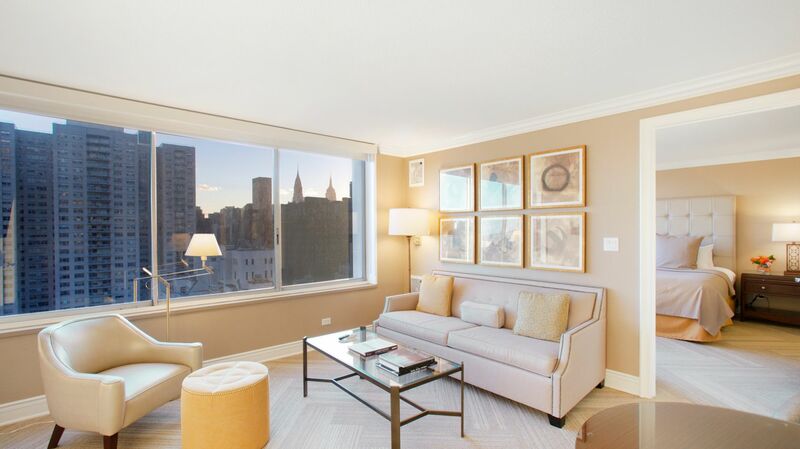 A luxury suite with stunning skyline views. 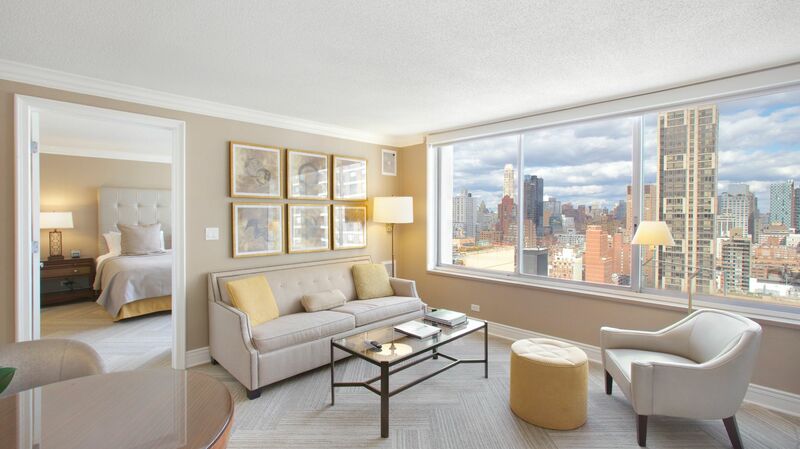 Executive Studio City View suites showcase glittering views of Midtown Manhattan. 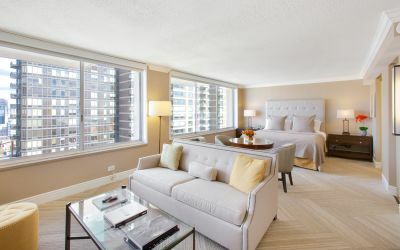 The suite also feature a king-size bed and queen-size sofa bed in the living room area. King-size bed and queen-size sofa bed in the living room area. Unlimited local domestic long distance calling. Fully equipped kitchens with stainless steel appliances, stone countertops and fine array of culinary utensils, dinnerware, and cookware. Additional Housekeeping service are available upon request. 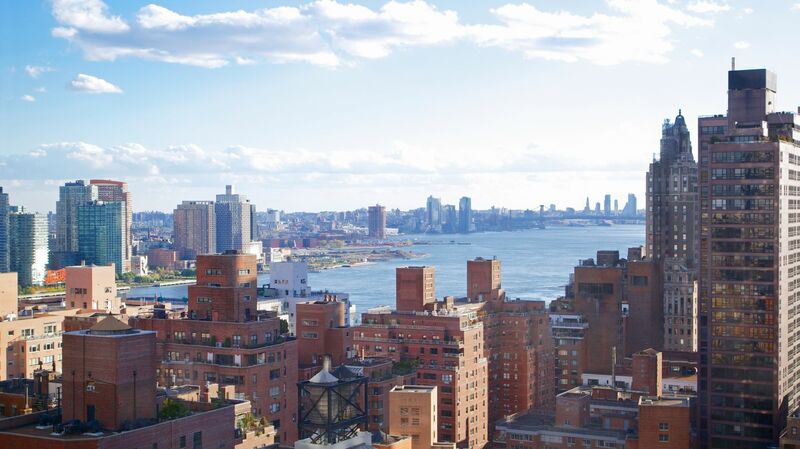 Take in a view of the East River and Midtown. 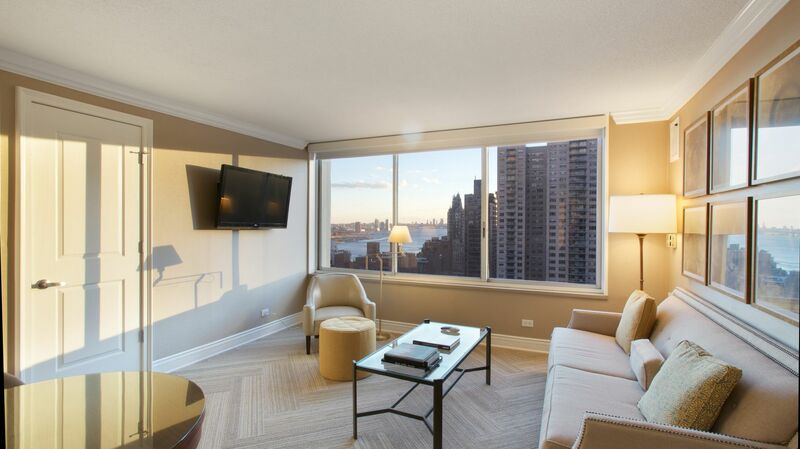 Executive Studio River View Suites offer breathtaking views of New York City's East River and Midtown Manhattan. They feature a king size bed and a queen size sofa bed in the living room area. Fully equipped kitchens with stainless steel appliances, stone countertops and a fine array of culinary utensils, dinnerware, and cookware. Additional housekeeping services are available upon request. More space for your stay, with one bedroom and a living area. One Bedroom Suites feature a separate private bedroom with a king size bed and a queen size sofa bed in the living room area. 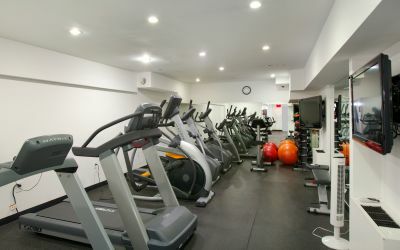 These accommodations are ideal for the traveling businessman, or a new arrival relocating to the city. Private bedroom with a king-size bed and a queen-size sofa bed in the living room. Fully equipped kitchen with stainless steel appliances, stone countertops and a fine array of culinary utensils, dinnerware, and cookware. Additional housekeeping is available upon request. 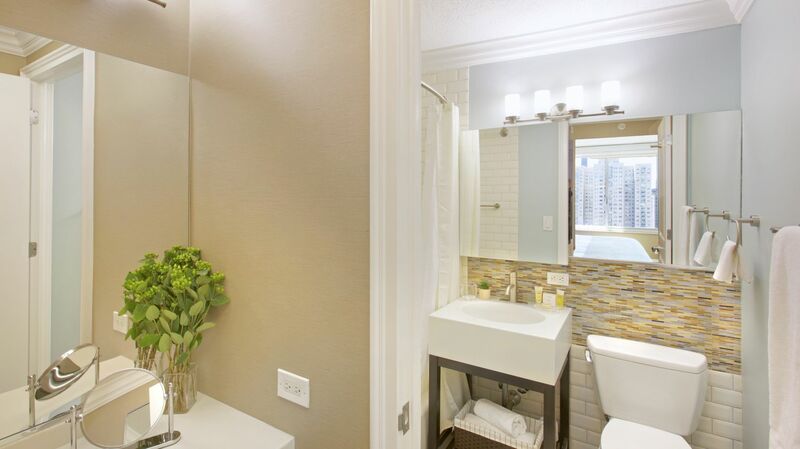 Have ample space and a view that matches the luxury of your suite. 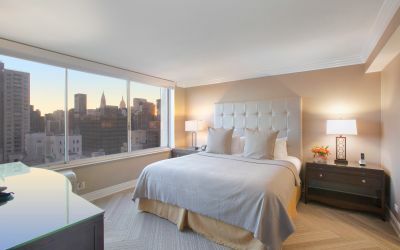 One Bedroom City View Suites feature inspiring views of Midtown Manhattan. 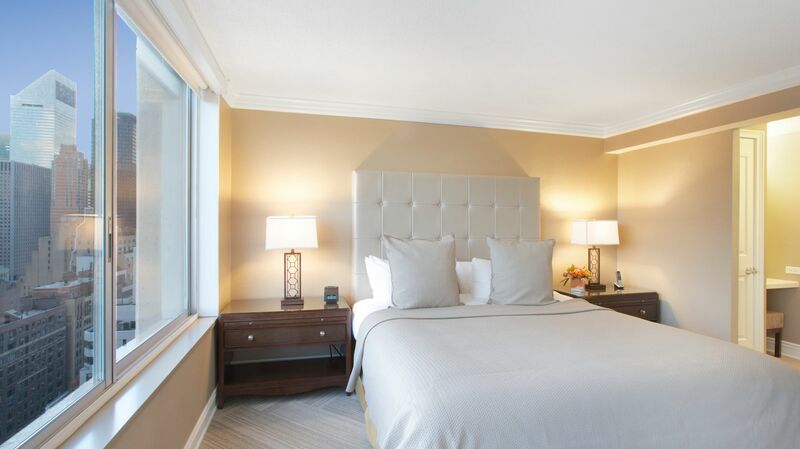 They also feature a separate private bedroom with a king size bed and a queen size sofa bed in the living room area. 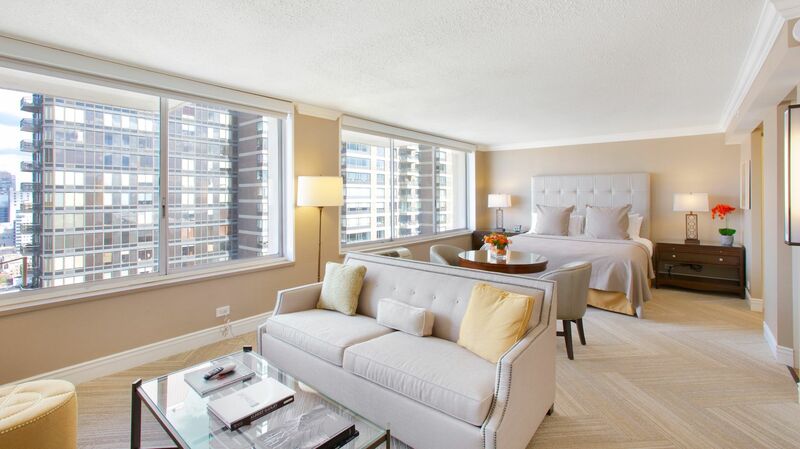 Separate private bedroom with a king-size bed and a queen-size sofa bed in the living room. Flat panel 42" HDTV with HD channels included. 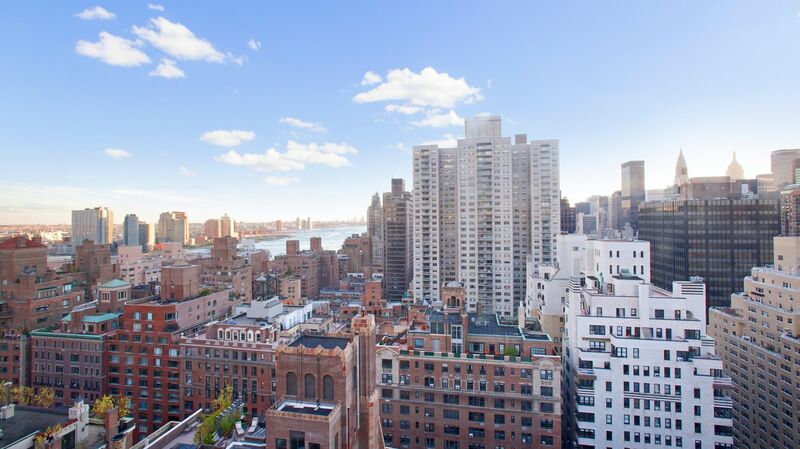 See Brooklyn and Queens from your window in these one-bedroom suites. 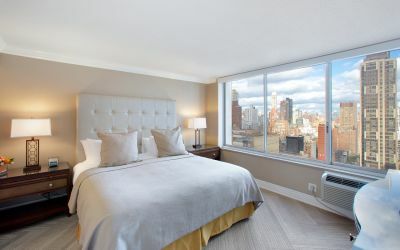 One Bedroom River View Suites have luminous views of New York's East River and Midtown Manhattan. They also feature a separate private bedroom with a king size bed and a queen size sofa bed in the living room area. 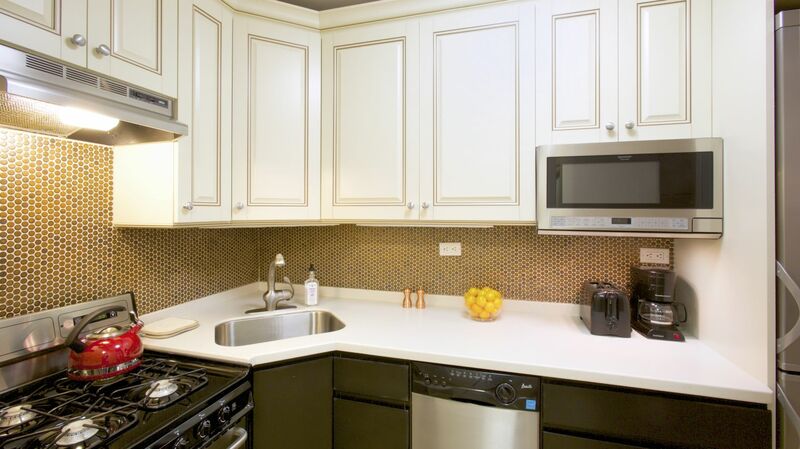 Fully equipped kitchens with stainless steel appliances, stone countertops, and a fine array of culinary utensils, dinnerware, and cookware.